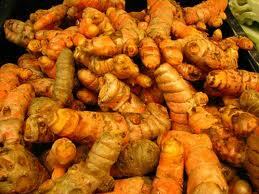 Turmeric is a rhizome plant of the ginger family. The rhizomes (roots) are boiled for several hours, then dried and ground to produce a bright yellow powder. This powder is the principal spice in Indian, Persian and Thai curries. It is also one of the most common ingredients used in ayruvedic medicine for its anti-inflammatory properties. No other food ingredient has such a powerful anti-inflammatory effect. The principle molecule responsible for this effect is Curcumin. In laboratory studies, in addition to its general antiinflammatory effect, curcumin also inhibits growth in a large number of cancers including colon, prostate, lung, liver, stomach, breast, ovarian, brain and leukemia. 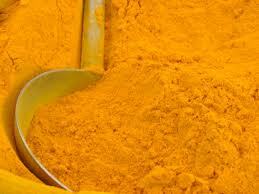 At the MD Anderson Cancer Center in Houston, scientists have studied turmeric as they would any new pharmaceutical. While there were some skeptics that such positive lab results came from a "food", progress has continued and several clinical trials looking at turmeric as a means to prevent and treat cancer are currently under way. But before you go out and eat a teaspoon full of turmeric (beware - it's spicy! ), this food also illustrates the benefits of culinary traditions in comparison to the consumption of isolated substances. It has been found that turmeric ingested alone, or in capsules, is very poorly absorbed by the digestive tract. But when it is mixed with black pepper - as it always is in a curry - this increases it's absorption by 2,000 percent! mix 1/4 teaspoon of turmeric with 1/2 teaspoon of olive oil and a generous pinch of black pepper. Add to soups or salad dressings or pour over cooked vegetables. If the taste is a little bitter, try adding a few drops of agave nectar too. *This should not be construed as medical advice.